All you need to know and more about buying and selling previously loved luxury goods in India. Launched last July, Mumbai-based Luxepolis was started with the vision of making a�?value luxurya�� accessible across India. With over 500 international luxury brands to choose from, co-founder Vijay KG shares how Luxepolis was conceptualised. a�?We observed that in India, the three luxury categories that taste immense success are real estate, jewellery/gold and luxury automobiles,a�? says the 35-year-old, adding, a�?And the one thing that connects them all is the resale value and the vibrant resale market that exists. Similarly, every luxury purchase from us is an investment.a�? In the nine months since its inception, Vijay reports that 40 per cent of their customers are repeat clients and that the same percentage of their shoppers hail from tier-2 and tier-3 cities and towns. a�?We are focussed on providing accessible and authentic luxury products,a�? he adds, referring both to price and to the pre-loved venturea��s reach. Other perks to shopping with Luxepolis is the packaging. a�?We provide a certificate of authenticity. Our 20-member strong global authentication team collectively has over 150 years of experience in culling fake luxury products,a�? he concludes. We especially liked the selection of handbags and shoes from classic American brands such as Coach, Michael Kors, Tory Burch and DKNY. Style steal: Luxepolis has a small but stylish selection of Miu Miu minibags and wallets. Delhi-based Anvita Mehra turned her passion for fashion into a business when she launched Confidential Couture in June, 2014. a�?The fact that we are able to cater a realistic luxury shopping experience to a style-savvy clientele is our ultimate takeaway. High-end luxury items are extremely aspirational in India lately and there is a visible surge in demand,a�? she says. Mehra pays heed to the authentication process, too, offering a money-back guarantee if any purchase is proven to be counterfeit. a�?Our in-house team reviews every product and its accompaniments (receipts, authenticity cards), hologram codes and heat stamps. To ensure authenticity, we also draw on the advice of our partners, Authenticate First, a US-based authenticating agency.a�? 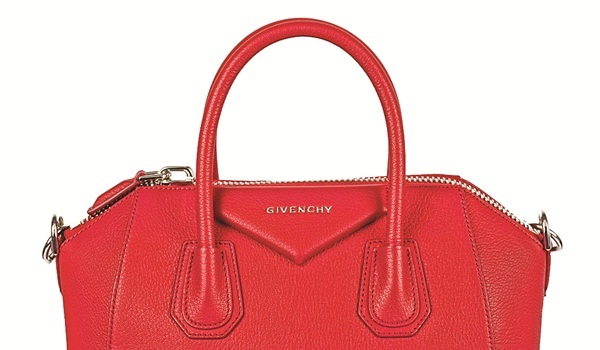 With handbags, shoes and sunglasses from the usual French and Italian luxury suspects, as well as a few niche brands such as Celine, Chloe and Sophia Webster, buyers have plenty to choose from. Former interior designer Chitra Goenka confesses to discovering the seeds of her pre-loved luxury business, LabelCentric, over brunch. a�?I stumbled upon the idea over a casual lunch with my girlfriends. The conversation revolved around not knowing what to do with our last season designer handbags and accessories, and while I was still working on interior design at the time, this stayed with me,a�? she begins. Launched last August, the Mumbai-based venture even ships their products to customers from tier-2 cities like Faridabad and Ranchi, who impress Goenka with their fashion and brand knowledge. Shopping for pre-owned goods, however, does not come cheap, warns Goenka. a�?A client can pay up to Rs 1.5 lakh for a pre-owned Lady Dior bag, which retails at Rs 3 lakh at the store.a�? We liked their express delivery service, the dustbag, lifetime authenticity guarantee and, of course, the limited but carefully curated repertoire of handbags, belts, sunglasses and other luxury products Style steal: Ita��s raining Dior here! The discounted prices on the classic Diorissimo lady bags are hard to resist. the store, talk to a retail assistant, a stylist or a friend who is a current owner.